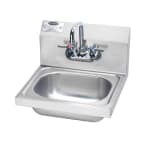 The HS-2L from Krowne is a wall-mounted hand sink that includes brackets for secure installation. This model features a built-in gooseneck faucet, which is low-lead compliant. 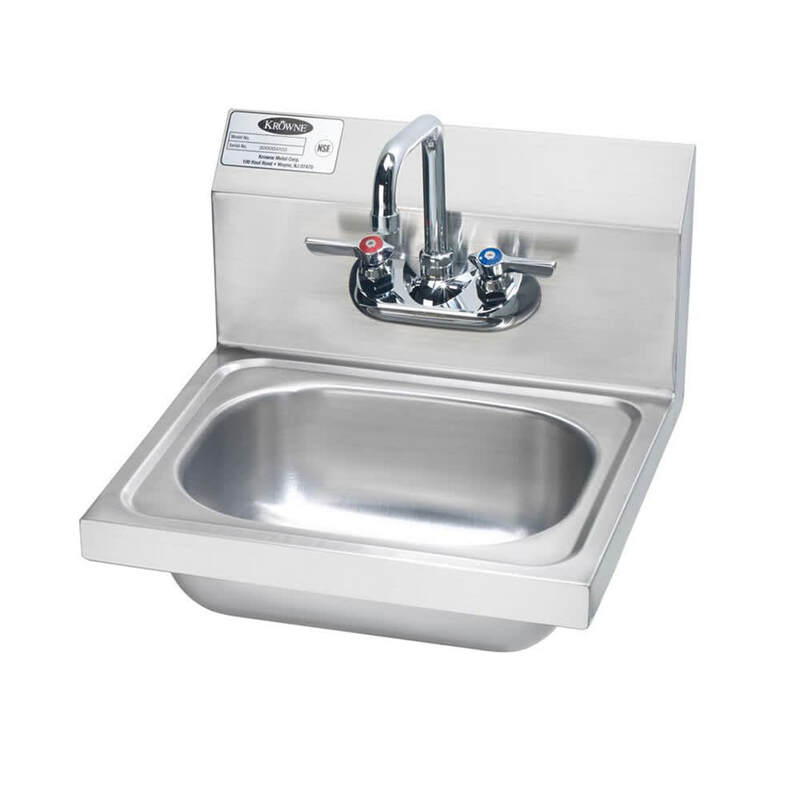 The 20-gauge stainless steel construction and TIG-welded and polished seams make this sink strong and durable as well as easy to clean. "The sink is great but it would be helpful to make note that there are special fittings needed to attach it to the water lines. The distance betwe..."
"The sink is great but it would be helpful to make note that there are special fittings needed to attach it to the water lines. The distance between the faucet connections and the wall is very small. It would help to sell the special fittings with the sink. Thanks for asking."